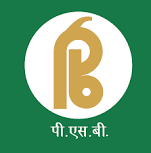 Punjab and Sind Bank, a leading Public Sector Bank, A Government of India Undertaking invites applications from Indian Citizens for recruitment of Chief Economist in Senior Management Grade Scale -IV (CM) under Specialist category. The last date for receipt of application is 22nd February 2016. (1) Ph.D in Economics/ International Finance/ Business Economics with specialization in monetary/ financial economics or econometrics from a recognized Indian/ Foreign University/ Institute. (2) Minimum 7 years as Economic Researcher in any University or Work Experience in Economic Research Division of a Commercial Bank/ Financial Institution/ Corporate Organizations like CRISIL, CIBIL, ICRA etc. Application Fee: A non-refundable fee of ₹ 500/- payable by way of Demand Draft (DD) drawn on any Nationalised / Scheduled Bank drawn in favour of "Punjab & Sind Bank, Chief Economist Recruitment Project 2014-15" payable at New Delhi. The Candidates should write their name and address on the reverse of the Demand Draft. How to Apply: The Application Form should be neatly Typed in English in CAPITAL LETTERS on a A4 size (210 x 297 mm) paper in the prescribed format. A recent passport size coloured photograph of the candidate should be pasted at right hand top corner at the space provided in the application and signed across. Application completed in all respects should be reach to GENERAL MANAGER -HRD PUNJAB & SIND BANK BANK HOUSE, 6TH FLOOR 21- RAJENDRA PLACE NEW DELHI -110008 on or before 22/02/2016. The application superscribing "Application for the post of Chief Economist in Scale IV".